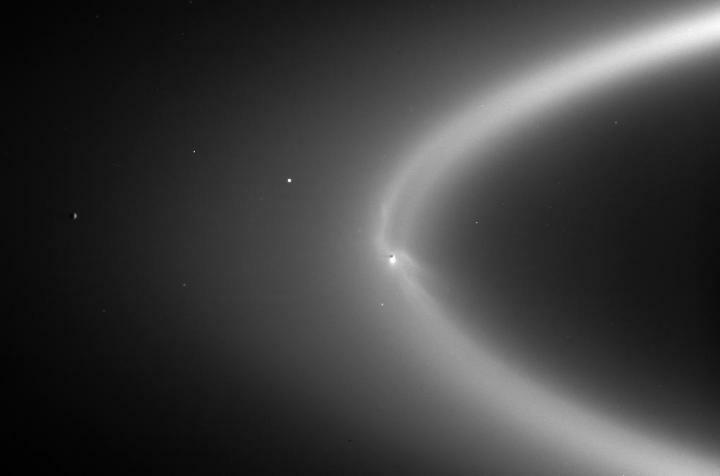 July 5, 2017 – A serendipitous detection of the organic molecule methanol around an intriguing moon of Saturn suggests that material spewed from Enceladus undertakes a complex chemical journey once vented into space. This is the first time that a molecule from Enceladus has been detected with a ground-based telescope. Dr. Emily Drabek-Maunder, of Cardiff University, presented the results on Tuesday 4th July at the National Astronomy Meeting at the University of Hull. 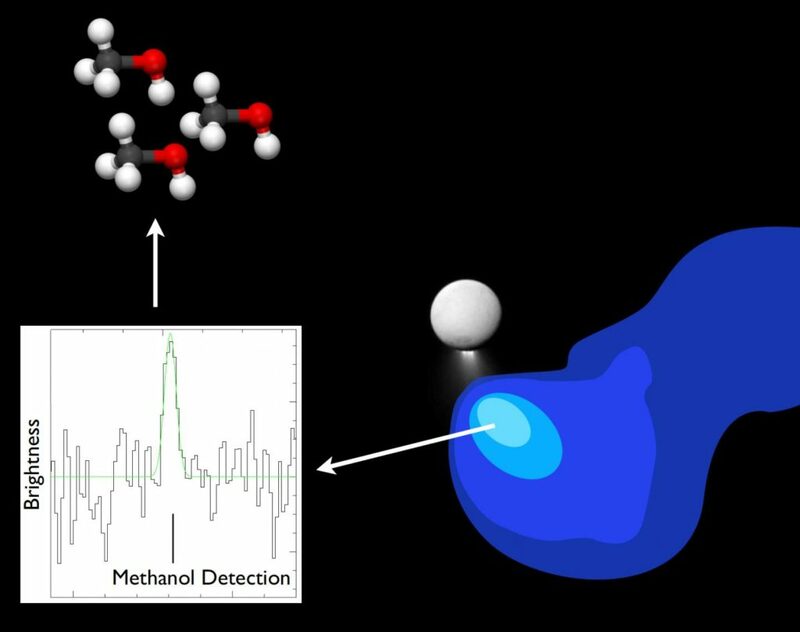 In this study, Dr. Jane Greaves of Cardiff University and Dr. Helen Fraser of the Open University detected the bright methanol signature using the IRAM 30-meter radio telescope in the Spanish Sierra Nevada. “This observation was very surprising since it was not the main molecule we were originally looking for in Enceladus’s plumes,” said Greaves.